So here are five reasons you should make a trip to Birmingham on Tuesday if you're a student interested in photography. The company also publishes guides to a wide range of specific camera models – ideal if you’re after something more informative and engaging than a manufacturer manual. 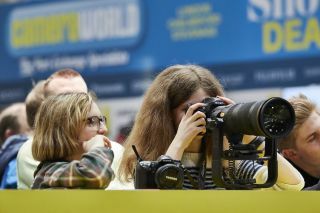 Written by people as passionate about photography as you are, you’re bound to find something of interest on the Rocky Nook stand, which you'll find at J 130.